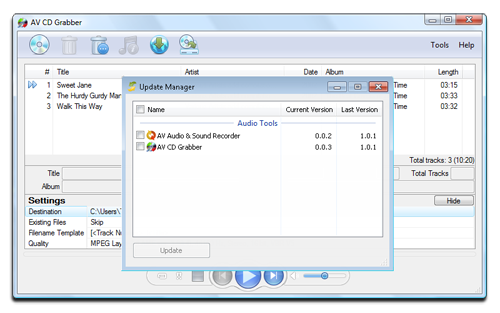 AV CD Grabber is a PC software program that helps to convert tracks on a music CD to standard computer audio files for hard disk backup or for mobile devices. 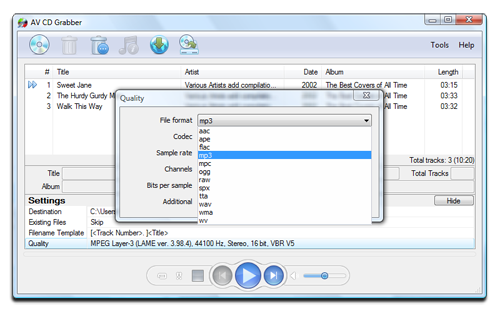 The program supports a variety of file formats for output including WMA, WAV, MP3, AAC, MP4, MPC, OGG, RAW, SPX, TTA, WV, APE and FLAC. When would you need an Audio CD Grabber or CD Ripper/CD Converter? 1. 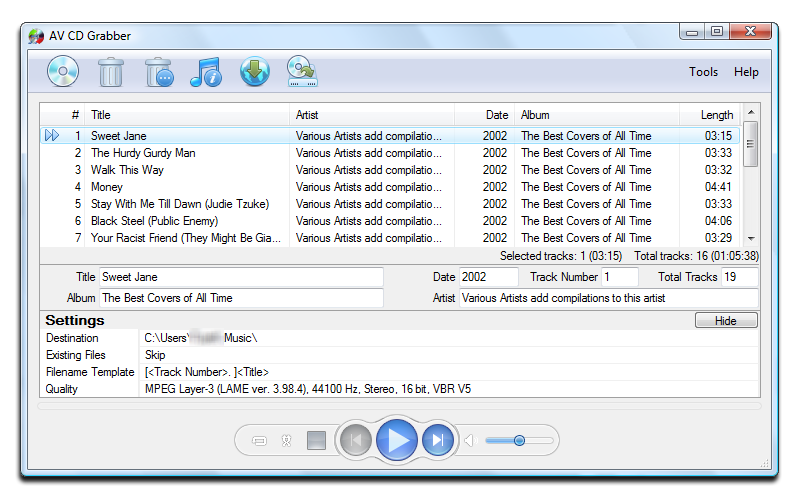 You could rip your CD collection to a hard disk or mobile device for storage and enjoyment. 2. 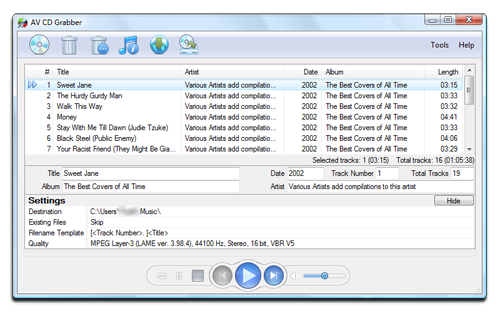 Store and manage your high quality music library by ripping your Audio CDs to lossless audio formats such as APE or FLAC. 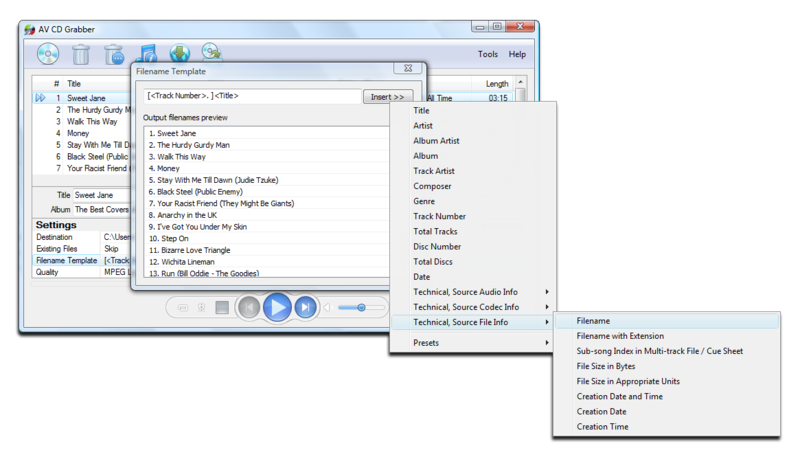 Edit Mp3 Tags and other parameters directly and quickly from the program’s main UI. 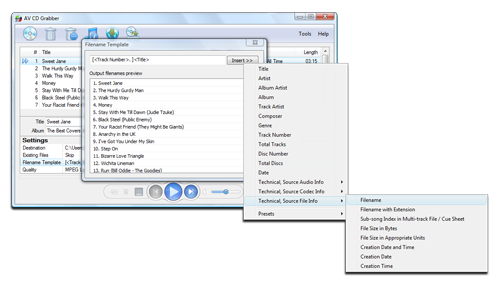 Search for album information in an online database (MusicBrainz.org) and apply that information into Tag fields. 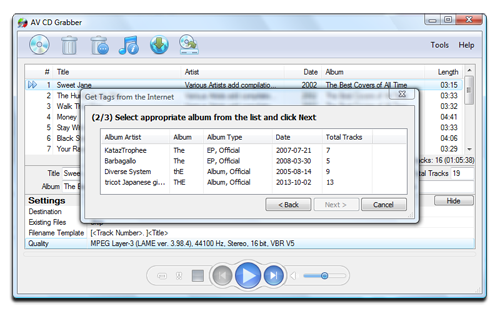 Name output files based on Tag information such as Album, Year, Artist, etc. 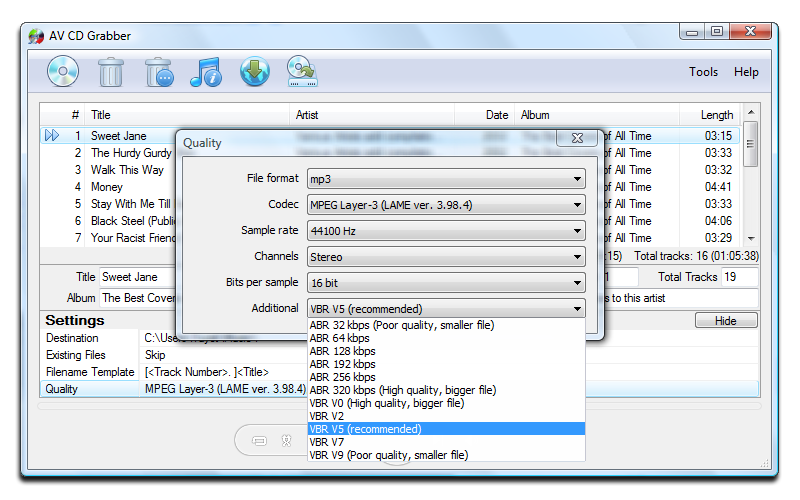 Name output files based on qualities such as bitrates, channels, etc. Easily mix any desired information into a custom name template. Option to show/hide log after grabbing/ripping the CD. Option to show the ripping progress on Windows 7 taskbar. Option to open output folder after the ripping procedure completes. Built-in Update Manager for instant update notifications on bugs fixes and new features. 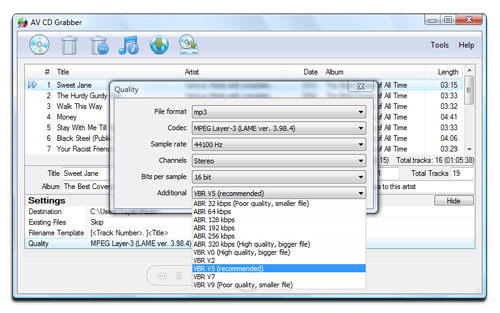 Special Built-in Media Player from Audio4fun for reviewing and playing the outputs.